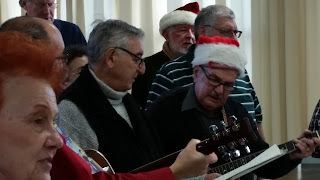 Although we may not have a white Christmas this year, we can still have a festive holiday season that brings people of good will together, that’s what I had the pleasure of enjoying this weekend. 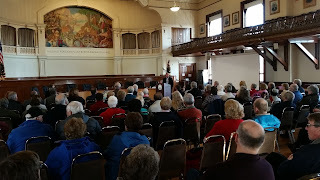 Saturday morning at Gloucester City Hall we celebrated the life of Abdullah Khambaty. Ab was an inspiration to many, a former Gloucester City Council President, School Committee member, and an active citizen; he gave more than 30 years of service to the people of Gloucester. This ceremony marked the beginning of an Extraordinary Service Award in Ab’s memory. 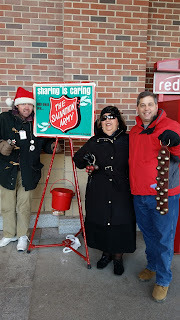 On Saturday afternoon, Gloucester Mayor Sefatia Romeo Theken and I greeted holiday shoppers and rang kettle bells for the Salvation Army at Market Basket in Gloucester. 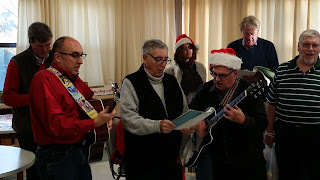 Sunday I joined with City Councilor Bob Whynott and his family, Councilors Greg Verga and Paul Lundburg, former State Representative Tony Verga and a hearty band of carolers for the Whynott family’s annual traveling Caroling Party. 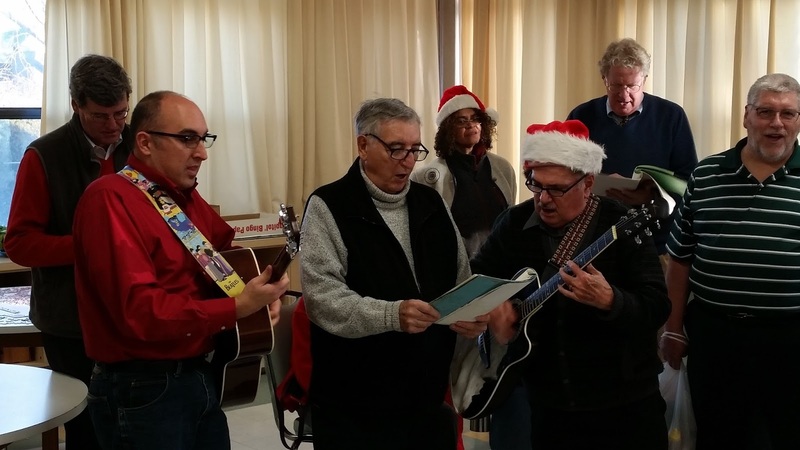 With stops at Seacoast Nursing and Rehabilitation Center and the Curtis Clark Building the event was a great chance to share the holiday spirit with many of the community’s seniors. I also had fun caroling Sunday night throughout the East Village of Boxford for the Grand Illumination. 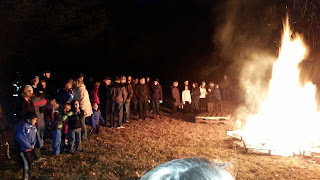 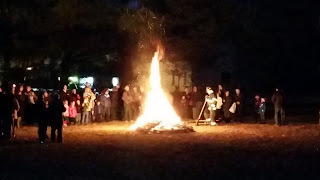 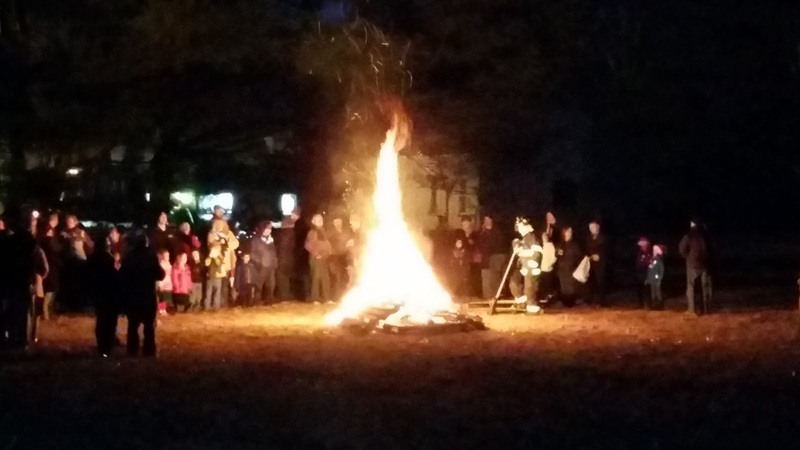 The event started at the town library’s field with a holiday bonfire and the lighting of the Christmas Tree on the Community Center lawn. 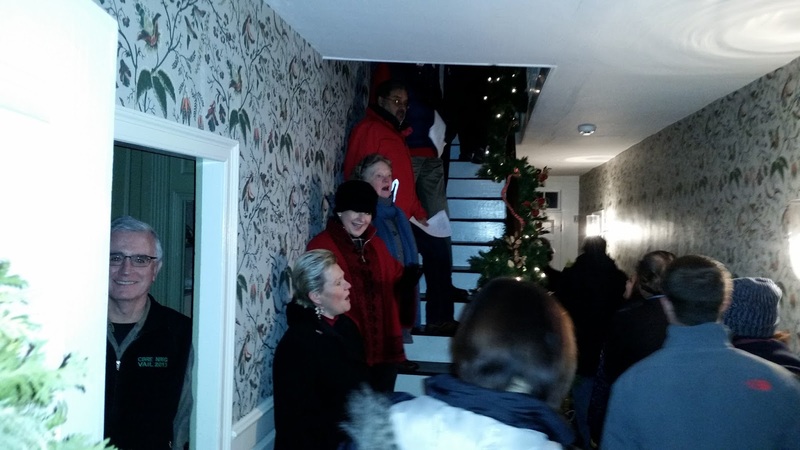 Carolers were led by the Boxford Historical Society, we moved through the neighborhood from home to home singing carols and asking each homeowner to light their home’s Christmas lights. 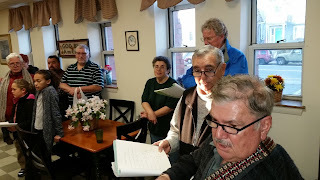 We ended at the Holyoke French House with warm drinks and cookies.